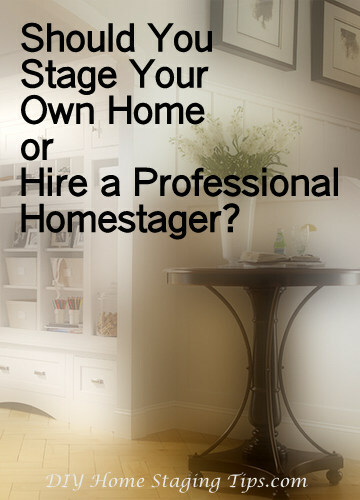 DIY Home Staging Tips: Should You Stage Your Own Home? Or Hire a Pro? I was reading on an online forum for professional home stagers, when I stumbled across a comment that annoyed me at first and then amused me. That’s pretty harsh. But not true. 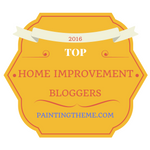 I maintain that most homeowners can stage their own homes. Many of them will need to bring themselves up to speed, but that process can be an enjoyable learning experience. And most certainly a smart financial experience. 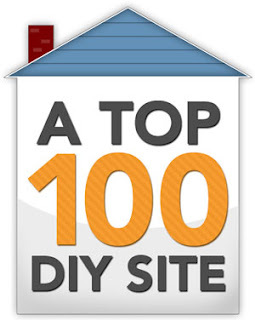 It’s no secret that most of us stage our own homes to stretch our budget. Hiring a professional stager will cost some money, understandably. A trained and accredited stager is an entrepreneur in business to make money, and cranking up and running a home staging business demands capital investment. She’ll have to pay for her training, for furnishings and warehousing, insurance, website, cell phone, laptop, camera, transportation, day laborers, tradespeople, office expenses, and advertising. She has to calculate these costs into the estimate she gives you. Besides the obvious economic advantages of staging your own home, let’s look at some other benefits. You have the flexibility to do it on your schedule. Unless you have a tight deadline for moving, you can afford to make some mistakes and then fine tune things with time. Perhaps family and friends will give you feedback for what looks best. You’ll be educating your eye. 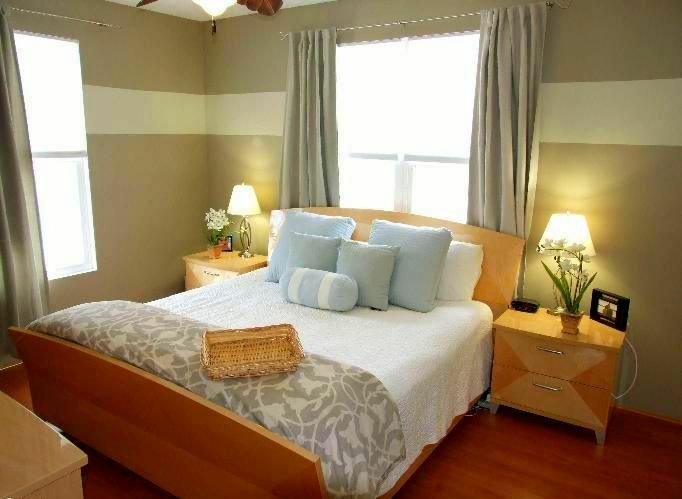 You might even be making purchases for your next home and using them for staging this one. Most people have a horror story about movers or other workers in their home. Something was broken or stolen. Private information was taken. Do you know the “helpers” a stager might bring in to move your antiques around? Only you know exactly what you have that is valuable, delicate, or private, and how things are packed, labeled, and stored. Staging your own home could mean no surprises down the road. If you’ll be living in your home while it is listed, you have an understanding of exactly what you and your family can tolerate in the name of an uncluttered home. It’s unrealistic to stage a playroom all cutesy and expect it to stay that way when you have three boys who prefer the room with wall to wall Legos. Can you keep your countertops free of small appliances? (I can’t!) Put away hair styling equipment and cosmetics every day? You might as well stage your home so you can still function comfortably. dining area. I think she did everything right! 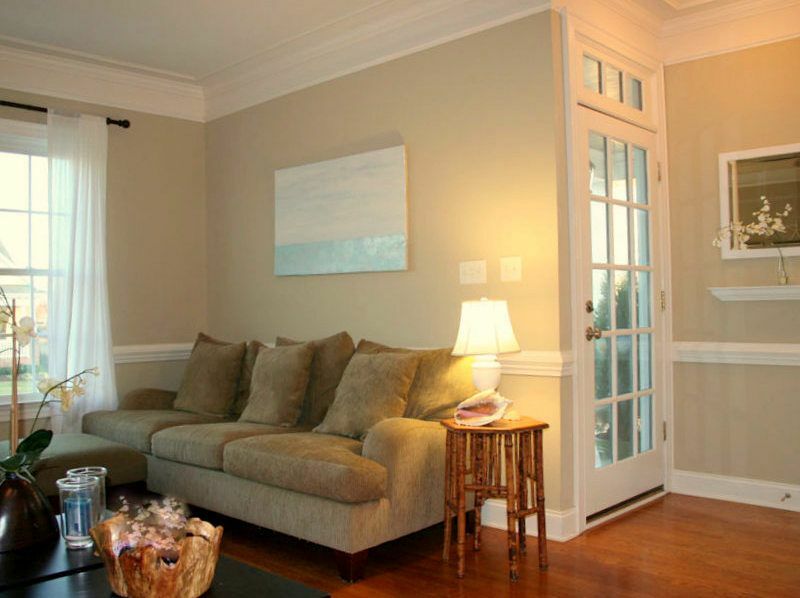 A professional brings advantages of her own to the home staging process. Here’s my list of the advantages I see, along with some tips for you if you are considering hiring one. She’s been schooled as a professional and knows what the market insists on, what the trends are in your area. You should ask to see her credentials and view her portfolio. You can ask your real estate agent to recommend a stager. She has the furnishings and manpower necessary for staging. Ask if she pays any furniture rental fees or if you do. How about the cost of tradespeople like an electrician or a plumber? Ask about the total cost for staging, how it is determined, and how it might vary. Professional staging can be done relatively quickly. Depending on the extent of the job, the stager will probably be in and out and have you photo-ready in less time than if you had to do everything yourself. Ask how long the work will take. Ask what your responsibilities will be during the project. A stager has an unbiased viewpoint and can evaluate what should stay and what should go in your home for showings. She’ll see problems and solutions you haven’t thought of because she has the fresh eye. Do you sense a sympatico with the stager you’re interviewing, so that communications are likely to go smoothly? Here's the bedroom Julie staged. Would a professional have done better? I don't think so. What’s a homeowner to do when it’s time to sell? It’s possible that a compromise might deliver the best of all worlds. You could pay for a plan, and do the labor yourself. Many stagers will work as consultants, touring your house and offering suggestions on how best to present it. For a fee that varies according to where you live and how experienced the stager is, she will tour the property completely and then present you with a printed report. A more casual, more economical arrangement might be a walk-through when you can take notes or record or video what she suggests. Some stagers will offer an initial consultation and a follow-up visit to make suggestions about finishing touches or tweaks. A cooperative arrangement like this means that you do the cleaning, the decluttering, maybe some shopping, and the necessary trips to a donation center, the landfill, or storage facility. and I think it was because she did such a good staging job. Schedule. How much time you have to do the work yourself. Market. What the competition is like in your local real estate market, how other homes go to market. In larger cities, it’s more likely that staging is expected. Specifics. The price, size, and age of your home. More expensive homes, larger homes, newer homes benefit more from a professional’s touch. Even if you have had your home professionally decorated, a home stager has a different set of priorities than a decorator. Nostalgia. How much emotional detachment you can muster. An outsider will be more objective, and help you understand typical consumer reactions to your décor and belongings. You may adore your cherry red dining room walls, but a stager may see that they make the room look smaller and older. Imagination. How much vision you have. 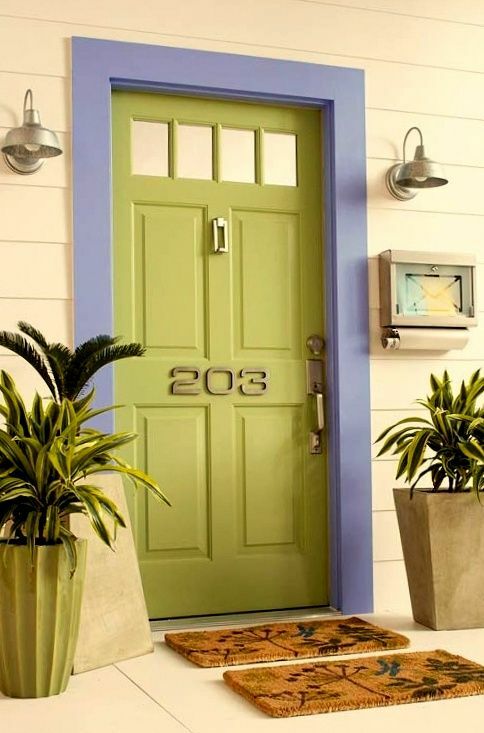 If you’ve never been one to pay much attention to home décor, if you haven’t redecorated in a couple decades, if home improvement bores you, and if you can’t even imagine alternative colors or furniture arrangements for your home, perhaps you need outside advice. Money. How much money you are able and willing to spend on staging. If you are underwater with your home, it’s understandable that investing more money is painful. But an investment is what it is. 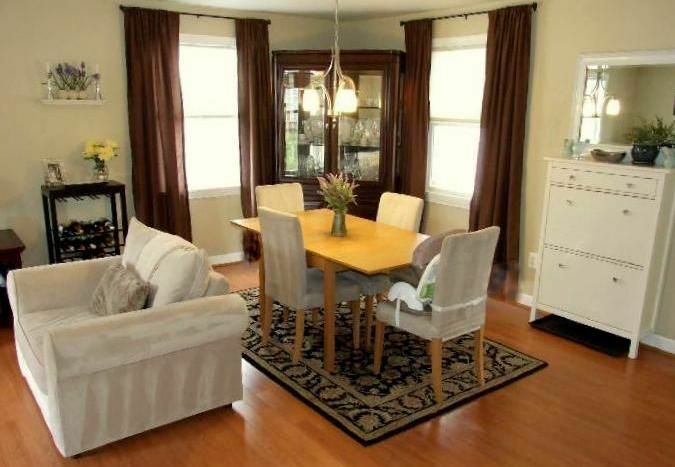 Done correctly, staging pays for itself, because staged houses sell faster and for more money. Desire. How motivated you are to sell. If you want to sell quickly and move on, staging with a pro can speed things up. Stress. How able you are to cope with stress. Some people seem to thrive on chaos, drama, and deadlines. Others are easily overwhelmed. Even a simple closet cleaning can be stressful for some, while someone else can take a complete kitchen remodel in stride. Whether you do all your own staging, turn it over to an accredited home stager, or go with some combination, only you can decide. If you stage your own home and use my eBook, DIY Home Staging Tips to Sell Your Home Fast and for Top Dollar, as a guide, I guarantee your results won’t look anything like the way the online poster described self staging. You’ll be on our way to staging like a pro. I’ll give you your money back if you are not completely satisfied with your purchase. Avocado walls and swagged drapes, indeed!